Today i.e 29th, March, is a special day for the entire team of Creative Nails. 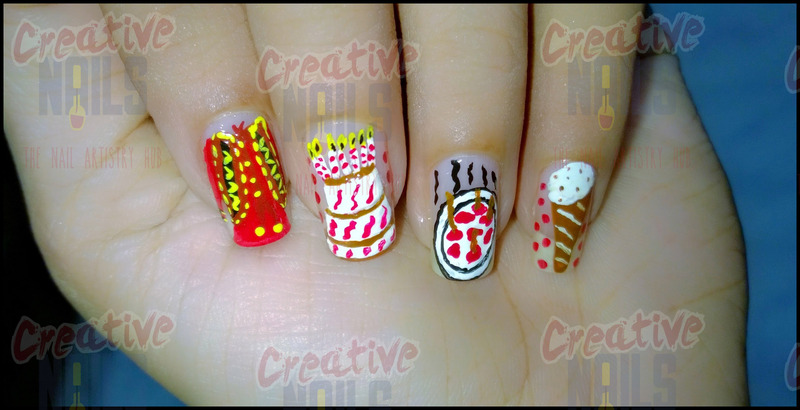 A few years back, on this day, the nails behind Creative Nails were born! Yes, it’s my birthday today! To make my birthday a happy day, I have created this nail art. You guys can gift me with valuable COMMENTS and make my birthday even more special! Hey Happy Belated Birthday! Good you did something special for your special day! So cute!! Enjoy your Birthday.